Baronius Press: The Story of a Soul by Saint Thérèse of Lisieux. "Be not afraid to tell Jesus that you love Him; even though it be without feeling, this is the way to oblige Him to help you, and carry you like a little child too feeble to walk." The Story of a Soul, better known to the English public as The Autobiography of St. Thérèse of Lisieux, was first published in 1899. Today it ranks amongst the greatest Christian spiritual classics and it has been translated into practically every well-known language. Almost every pope since its publication has proposed St. Thérèse's teaching to the faithful for their imitation—Pius XI declared her the greatest saint of our age and John Paul II made her a Doctor of the Church. This edition has been re-typeset using the text of the 1952 edition originally published by Burns Oates Washbourne under the imprimatur of Edm. Canon Surmont, Vicar General, Westminster, 2nd November 1925. 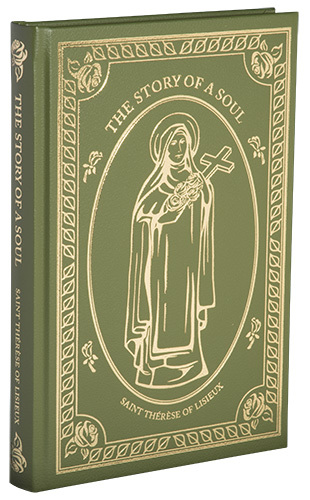 The Story of a Soul is the most popular Catholic book of the last hundred and fifty years. There are several good reasons for this. The author, St. Thérèse de Lisieux, is the most popular saint of recent times, and this is her autobiography. As autobiography, it is a work of great charm, freshness and individuality. It is amongst the greatest books of spirituality ever written: virtually every pope since its publication has proposed St. Thérèse’s teaching to the faithful for their imitation; Pius XI declared her the greatest saint of our age; and John Paul II made her a Doctor of the Church. 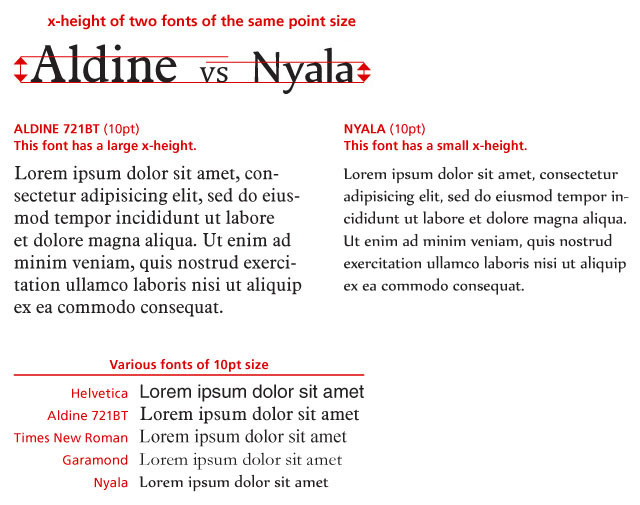 Finally, her doctrine – the Little Way – has the special appeal of simplicity and accessibility. Thus it is perhaps unsurprising that The Story of a Soul is probably – after St. Augustine’s Confessions – the most celebrated spiritual autobiography ever written. [I]t is to be emphasised that, strangely different though she was from St. John [of the Cross], and even from St. Teresa the Great, it was on their writings and spirituality that she was nourished and formed…. Her own desire was that it should be widely known that “holiness is accessible to all sorts of people,” and this without doubt is the lesson of her life, and the key to her popularity among men and women of all sorts. Her “little way” is, needless to say, a very big way. It lay essentially in this, that she really, fully, and effectively learned and lived up to St. Teresa’s great slogan of renouncing our own will and conforming it in all things, to the will of God; a lesson it is felt that may be in good measure learned and practiced by all men of good will in any station of life. St. Thérèse de Lisieux (Sister Teresa of the Child Jesus) was born at Alençon, France, on 2nd January, 1873. She was the ninth child of saintly parents, Louis and Zélie Martin, both of whom had wished to consecrate their lives to God as religious. The vocation they had been unable to pursue was given to their children, five of whom became religious, one to the Visitation Order and four in the Carmelite Convent of Lisieux. Brought up in an atmosphere of faith where every virtue and aspiration was carefully nurtured and developed, her vocation manifested itself when she was still only a child. Educated by the Benedictines, when she was fifteen she applied for permission to enter the Carmelite Convent, and being refused by the superior, went to Rome with her father – who was as eager to give her to God as she was to give herself – to seek the consent of the Holy Father, Leo XIII, then celebrating his jubilee. He preferred to leave the decision in the hands of the superior, who finally consented and on 9th April, 1888, at the unusual age of fifteen, Thérèse Martin entered the convent of Lisieux where two of her sisters had preceded her. She died at Lisieux on 30th September, 1897. The account of the eleven years of her religious life, marked by signal graces and constant growth in holiness, is given by Thérèse in her autobiography, written in obedience to her superior and published two years after her death. In 1901 it was translated into English, and in 1912 another translation, the first complete edition of the life of the saint, containing the autobiography, “Letters and Spiritual Counsels”, was published. Its success was immediate and universal, and it has passed into many editions, spreading far and wide the devotion to this “little” saint of simplicity, and abandonment in God’s service, of the perfect accomplishment of small duties. The fame of her sanctity and the many miracles performed through her intercession caused the introduction of her cause of canonisation only seventeen years after her death. She was canonized on 17th May, 1925.